Thank you for using MotorsportReg.com online entry system for the Sports Car Club of BC. If you follow these steps to create your account the first time you enter, your future entries with us will be quick and painless! You can also use this same profile to register for other events on MotorsportReg.com. Once logged in, click "My Account" at the top right. Please use proper capitalization for all of your information as it will appear on the race results. This includes vehicle information. Review your vehicle(s) making sure to enter your preferred car numbers and your transponder number. If you already have an account, please be sure your profile contains your club affiliation & competition license type. Complete entries may use the new Express Registration Line. Incomplete entries will be sent to the other line; no exceptions. Next return to this page and enter the event and pay online. 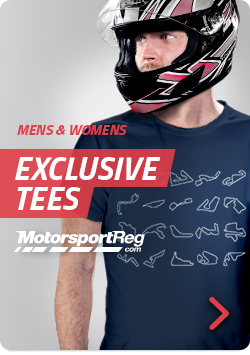 All entries on MotorSportReg require a credit card to complete the registration process. You do not need to actually pay with that credit card as you have other options such as cash, cheque and debit cards at Registration on the race weekend. If you do not have a credit card, please contact the Registrar to make other arrangements. You will receive an email confirmation of your entry automatically from the MotorsportReg.com system. If you have any questions about the event, please contact Marc Ramsay at registrar@sccbc.net. A current Vintage, Race, SoloSprint or Novice license & vehicle log books are required to participate in this event. As a reminder, all Canadian participants must hold a valid CACC or ASN/FIA license to participate. ICCSC, SCCA and other foreign licenses will only be accept for participants who reside outside of Canada. This applies for all CACC sanctioned events. Transponder numbers are required for all race cars. If you do not have a transponder listed in your vehicle profile, you must provide the number at Registration. If you don't own a transponder, you may rent one for the weekend from Registration by selecting that item when you register online. Failure to have your transponder number registered to your car will result in no practice times being posted. Paved Paddock Spaces: To reserve a paved paddock space please indicate your top 4 preferences when registering online. They will be assigned in the order the entries are received. DO NOT request a paddock space if you have an Annual Request. If your entry is late or you do not indicate your choices, your pit assignment will be determined at registration from any remaining. Paddock space requests are only available prior to the race entry deadline. For expedited processing at Registration, please prepay through MotorsportReg.com and insure that all of your information is correct. Incomplete registrations, or changes to registrations will result in delays for you and your fellow racers. How the Online Payment works: Your credit card will NOT be charged until you go through Registration at the track. A pre-authorization check is done electronically to confirm validity and capacity of your account by MotorsportReg.com, much like a hotel might do. The pre-auth should fall off your account in 24-72 hours depending on your bank card's practices. You can pay for your entry at Registration on the race weekend with cash or cheque, but you must use a credit card online to complete your registration. If you do not have a credit card, please contact the Registrar to make other arrangements.